This is a way we can be stewards of our community by, you know, just cutting down on driving, using just practical small skills and tools to get the job done. And it’s also way more fun for me. So there’s that too. 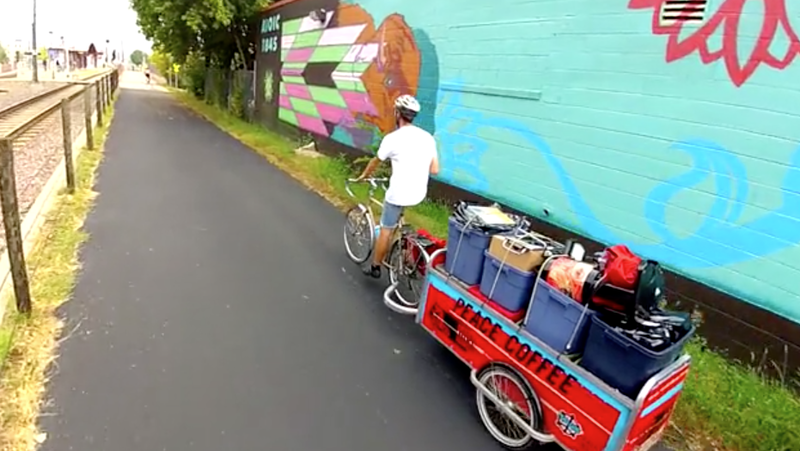 Peace Coffee delivers coffee by bike in Minneapolis.